At Mike's Seafood and Steakhouse, we take care to provide our customers high quality services personalized for their unique needs. We offer a variety of catering options. 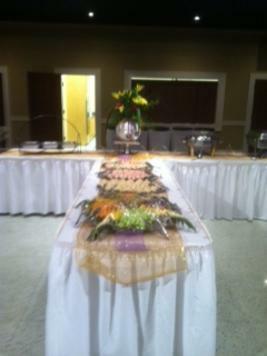 We can do anything from a simple carry out or delivery order, to a company party or wedding reception. We cater to in house parties; however, we can go to any location in the area. Our restaurant is located in the Grand Maris building which houses a beautiful ballroom for large parties and a banquet room for smaller ones. **Please call 337-616-0766 for more details.